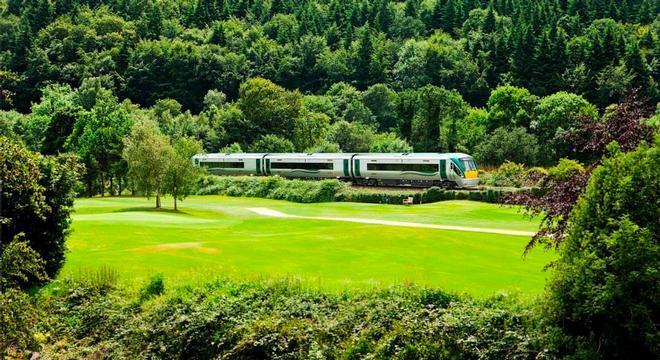 Discover Cork, Kerry, Galway, Dublin and Belfast on this 14 night Irish Rail Tour. Get familiar with Cork City with its remarkably preserved Georgian Buildings, the Ring of Kerry and the Dingle Peninsula and Galway city before travelling by rail to Belfast city in Northern Ireland. Here in Belfast, experience the Titanic Belfast and take a wonderful day trip to the Giant’s Causeway and the famous Carrick-a-Rede footbridge. 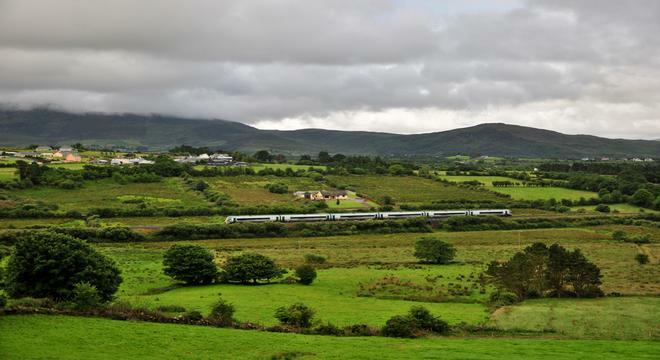 The best of Ireland by Rail 14 night tour is best accessed by Dublin airport. On arrival in Dublin Airport, travel into the city and take a train from Dublin to Cork City. Cork City’s narrowed tapered streets and Georgian architecture give the city a continental feel. The city has fantastic shopping, sightseeing and entertainment opportunities and on this tour we will use it as a base to discover the seaside town of Cobh, the last port of call for millions of Irish emigrants and Blarney where the world famous Blarney Castle is located. From Cork travel west to the Kingdom County of Kerry! 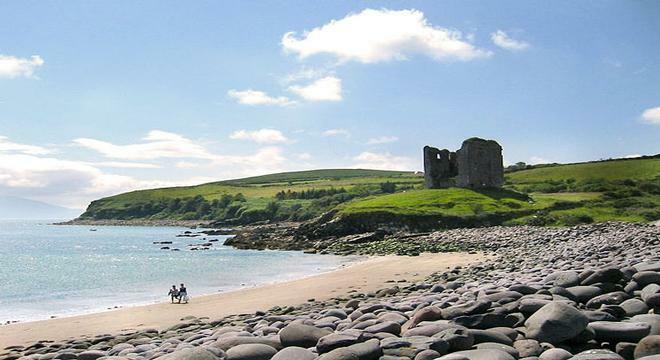 Here discover the amazing Ring of Kerry as well as the unspoiled Dingle Peninsula. 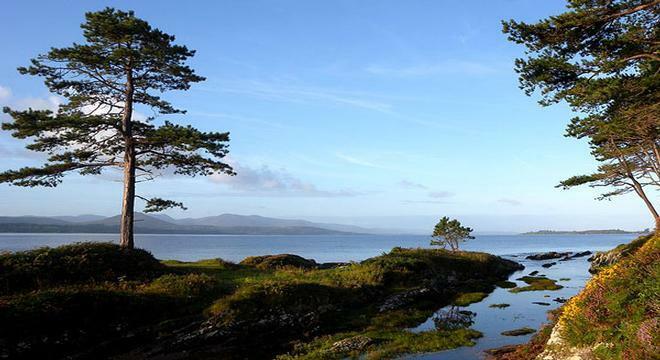 After Killarney travel Galway where you will have ample time to explore this festival capital and see the city’s sites. A day trip to Inis Mór in the Aran Islands has been included for you, and you will have plenty of time to explore the festival city of Galway. After a one night stopover in Dublin, travel directly to Belfast by rail. In Belfast we recommend a visit to Titanic Belfast, the city’s newest and most popular museum and the Belfast murals which have become world recognised symbols of religious and political divisions. On your second day in Belfast take a tour of the Causeway Coast visiting the world famous Carrick-a-Rede Rope bridge, Bushmills Distillery and the highlight of the tour, Giant’s Causeway. After your time in Belfast travel back to Dublin by rail, for a 2 night. Here with your city sightseeing ticket you can see such places as Trinity College and the Book of Kells, The Guinness Storehouse and Christchurch Cathedral but to name a few places. Travel from Dublin’s Connolly Station to Belfast by train & on arrival begin your Belfast City sightseeing. Today, the remnants of Belfast’s troubled past make it an interesting destination for tourists from all over the world. First stop on your tour of Belfast might be Titanic Belfast, built on the site where the Titanic was originally constructed; galleries reconstruct scenes from Belfast at the time of its construction, the launch, the maiden voyage, the sinking and the aftermath. The Belfast Murals are another must see in Belfast, these have become famous symbols of Northern Ireland, depicting the religious and political divisions. The Crumlin Road Gaol is also well worth a visit, this dates back to 1845 and closed in 1996. Tours of the prison tell the fascinating history of the site and the underground tunnel that connect the Gaol to the Crumlin Road Courthouse is an interesting feature. Tonight get out and about and discover Belfast’s stylish pub scene, of great interest to many is the Crown Liquor Saloon, one of the most famous Victorian gin palaces which once flourished in industrial cities, the saloon dates back to 1826, and its furnishings and fittings are authentic and fascinating. Enjoy the first stop of the day at Carrickfergus Castle, before travelling onward to the world famous Carrick-a-Rede Rope bridge where the brave members of the group make the journey across the 30m chasm! The not so brave can enjoy the stunning views or enjoy an exhilarating cliff walk. Travel onward to Bushmills distillery and enjoy a swift taste or two of their famous tipple before journeying to the highlight of the tour – The Giant’s Causeway, Northern Ireland’s only World Heritage Site. Spend some time climbing over the ancient stones, taking photographs, and appreciating the folklore and legend that surrounds this famous attraction. Re-board the coach again and make the return journey to Belfast stopping at the ancient ruins of Dunluce Castle on the way. After travelling by train from Belfast to Dublin, use your Dublin sightseeing tickets to bus your way around Dublin city. The Dublin sightseeing ticket lasts for two days and includes stops close to all of Dublin’s main attractions including The National Museums, Trinity College and The Book of Kells, St Patrick’s Cathedral and Christchurch Cathedral to name just a few places. On one night of your time in Dublin, we would certainly recommend that you visit Dublin’s busy Temple Bar to check out its famous traditional Irish music and vibrant nightlife!